A feature of this month’s annual meeting of the Smoke-Free Alternatives Trade Association (SFATA) was a videotaped interview with Mitch Zeller, the director of the FDA Center for Tobacco Products. Following the video, I participated in a panel discussion of Zeller’s statements about e-cigarettes. The FDA should also be required to acknowledge population evidence generated by federal surveys. I informed the SFATA audience that the CDC has 2015 National Health Interview Survey data documenting that 2.5 million former smokers were current users of vapor products (that is, they were vaping every day or some days). Given that CDC and FDA investigators work closely on the NHIS survey, it is inconceivable that the FDA doesn’t know this fact. 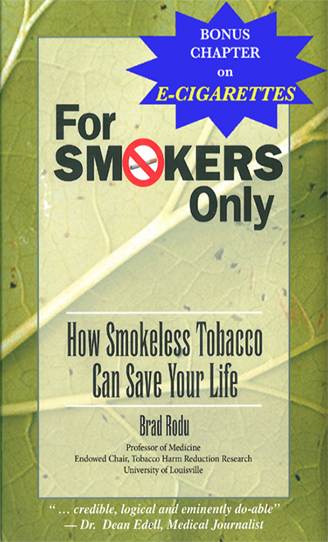 These 2.5 million former smokers are more than anecdotes. They constitute population-level evidence. Also noteworthy: In May the CDC published smoking statistics from the 2015 NHIS (here), but it just produced information on e-cigarettes today (here). Unsurprisingly, the CDC feigned alarm that 58.8% of vapors were current smokers (here) while ignoring the 2.5 million anecdotes. In fact, my July 16 blog (here) remains the sole source for this information. I have previously documented that the CDC has withheld information about the relative safety of smokeless tobacco (here and here). This egregious behavior continues to deny important health information to smokers, dippers and chewers. 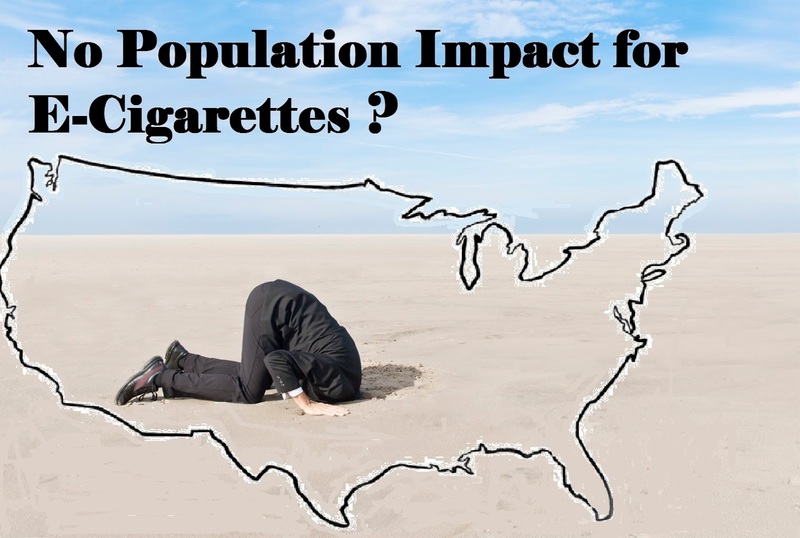 The FDA’s refusal to acknowledge population data on e-cigarettes facilitates its effort to impose industry-killing regulations on the vapor market. The chief federal regulator of tobacco products should acknowledge government survey data showing that e-cigarettes have helped as many as 2.5 million Americans quit smoking and/or stay smoke-free. It still amazes me that these organizations are allowed to ignore or exclude facts and science while making statements. When will they be held accountable for damaging the efforts towards total harm reduction? In the same spirit, aren't "children using ecigs" anecdotal as well? Started vaping 3 years ago. I have never had a cigarette since, nor would I, ever. I can't believe I smelt that bad and I can breathe now going up stairs. Plus, I don't hack brown and green stuff out of my lungs every morning like I used too. I tell every smoker I meet, that vaping saved my life. Bought my first e-cigarette eight years ago with no intention of quitting smoking cigarettes, just wanted to have the e-cig around for those situations where I couldn't have a cigarette (like in a hotel room, etc.). Well, once I left the store with my first e-cig, I never smoked another cigarette again and haven't and never plan to. It was the best thing I ever did. I smoked from the age of 15 to age 63. Smoking 2 packs a day for at least 20 of those years. I attempted to quit numerous times to no avail. 3 years ago my Son took me to a vape store and bought me my first e-vaper. I have not smoked one day since! I have no desire or feel the need to ever have another cigarette! I started vaping in 2010, I am 100% all days of the week smoke-free and vaping. I am absolutely convinced from my own attempts to quit, that nothing else but E-Cigarettes could have kept me smoke-free this long. the CDC data might have more info, but is it possible to get that data? "some days" and "every day" where lumped up in 1 bucket. I wonder if daily ecig use has more quitters than some day ecig use, this does show in the UK data. And cigs per day must have been asked: is cigs per day lower in the daily users? again, this does show in the UK data. This is exactly the same opinion I had when I read that Mich Zeller said tbis. Calling the testimonies of former smokers who quit by using e-cigarettes, of which I am one, "anecdotal evidence." I wondered how many letters from former smokers the FDA received regarding this before the Deeming Regulation were released. Its unconsunable the way these so called public servants ignore reality in favor of their misguided agendas. Apalling! I personally know of 3 family members who instantly stopped smoking when I introduced them to vaping. They thank me all the time and I thank Brad Rodu and others who tell the truth. Let's not forget the horrific double-standard in the anecdotal excuse. They refuse any and all positive results from using an electronic cigarette, because, yaknow, anecdotal evidence and all that rot - but have absolutely no problem using specific negative examples pulled from this same pool of individual users. Think batteries exploding (ummm..user error, anyone), poison-control calls (think of the cheeeeeldrin! ), or the guy who deliberately poisoned himself by injecting e-liquid into a vein.